Almost wordless: The colors have been beautiful this year. I’m sad to see them go. More Wordless Wednesday. © 2015 Under My Apple Tree. All rights reserved. It’s still a beautiful sight! 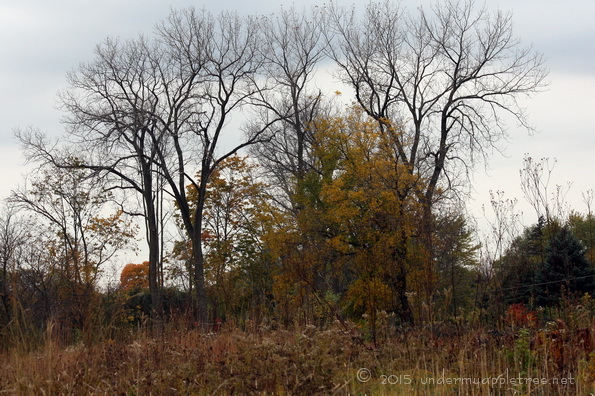 We aren’t quite at the height of the color yet in my neck of the woods (I have a few pictures on my blog today). They’re still looking good down here. I’m not ready for winter. Wonderful photo! I hope the autumn lasts a bit longer! Me too! This has been such a mild and colorful fall. If only we could dial up the weather…but I guess that would be boring. The weather has also been much milder than average, here in the UK, this year. Me too! And I’ve hardly been out at all this year.